When considering tattoos most of us think about our hands, bellies and backs. Nevertheless, a body part that is often neglected, the feet, can be the perfect place to unleash your creativity. Helping you truly stand out from the rest, a foot tattoo is perfect in any situation. Whether you’ll be going to the beach and want to catch the eyes of many or you simply want to impress your loved one once your socks are off, a foot tattoo will help you do just that! 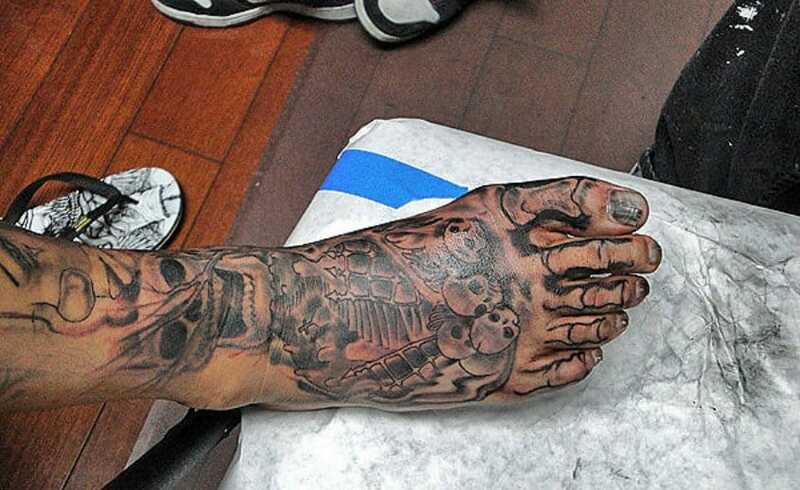 However, as with almost any other type of tattoo, people often go crazy and wacky with their creativity with foot tattoos as well. 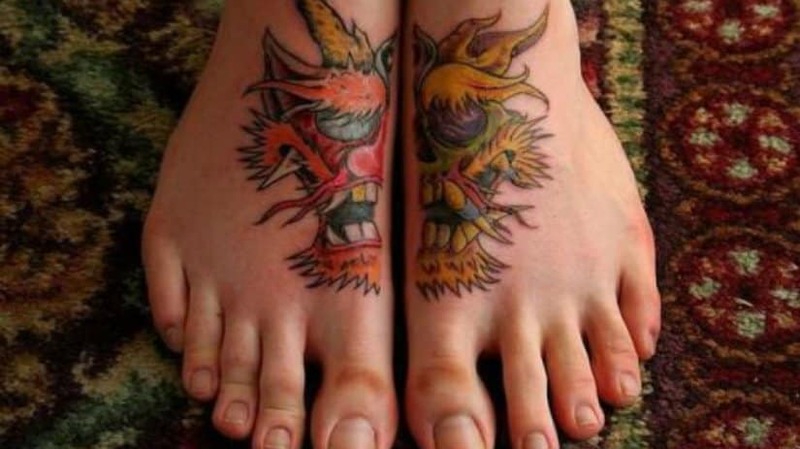 With that in mind, we’ve gathered 10 of the most crazy foot tattoos that are actually awesome! The Air Jordans were a pop-culture sensation and one of the biggest crazes in the early 90s. However, they are not as trendy anymore. 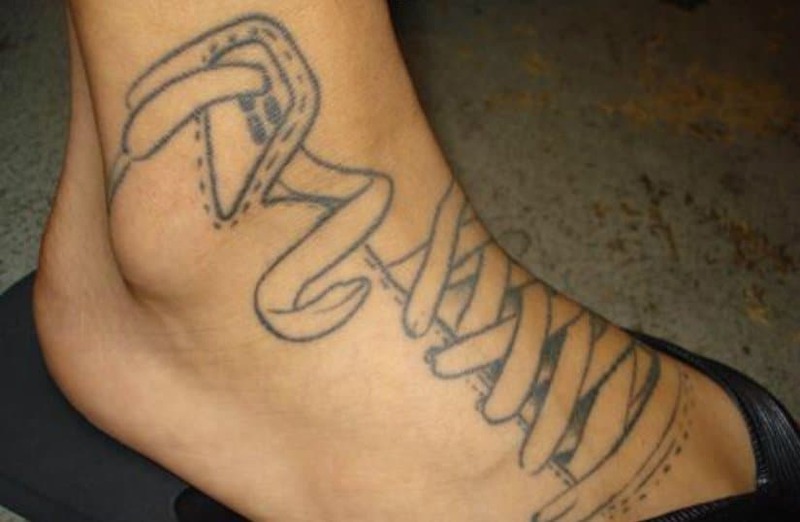 Rather, to be fashionable, you can tattoo your foot to look like you’re wearing Air Jordans! What’s more surprising than a foot tattoo that is found on your metatarsus? 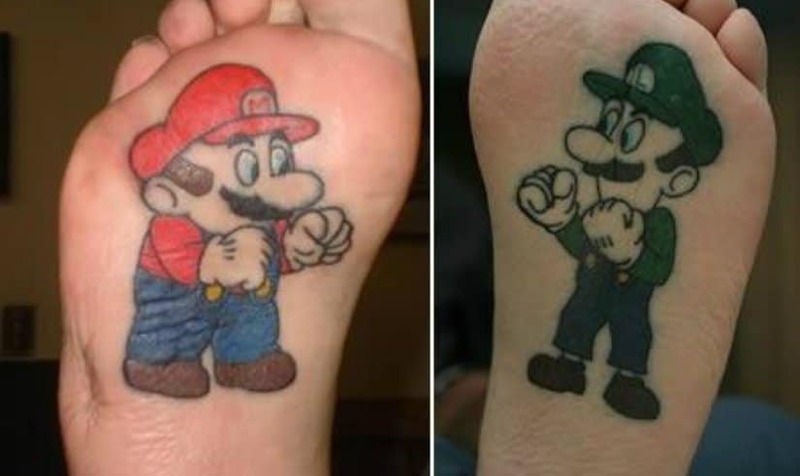 A foot tattoo of Mario and Luigi! 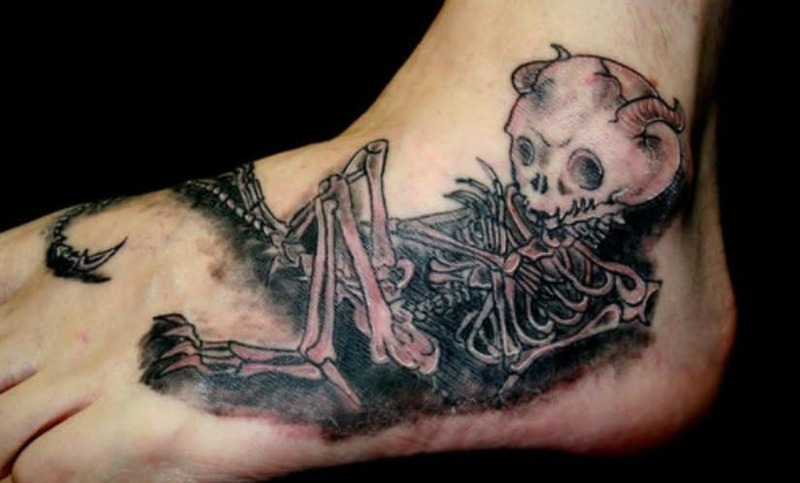 If you are one for darkness, this skeleton-inspired, bone foot tatto is definitely the choice for you! If you feel like your lips should be on your foot, you can use the help of tattoos to make your foot filled with kisses! We all know the song about our toes. 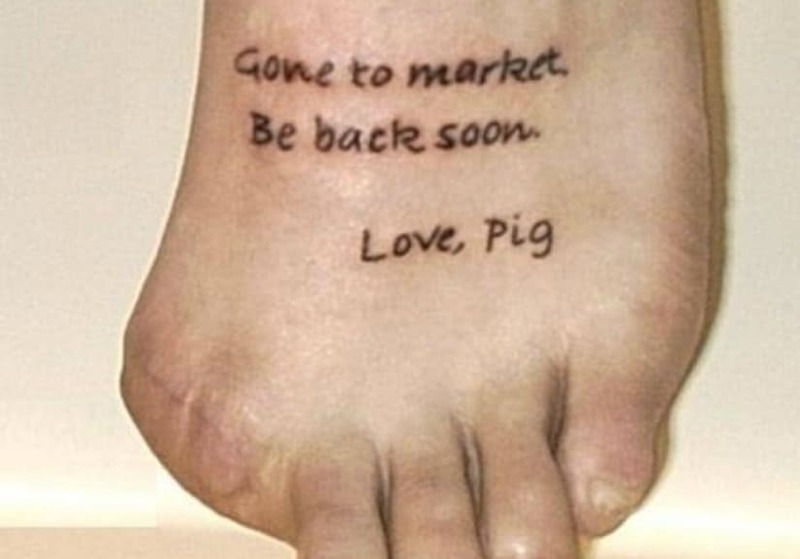 This guy has managed to make the most of his situation of a missing toe and has created what may very well be the most creative foot tattoo of all time! Putting little adorable and cute devils on your body is so last decade! Instead put this little skeleton baby devil on your foot for a truly eye-catching effect! Stomp your way through any Lego city with the help of this Godzilla as a tattoo on your foot! Do you love retro games? 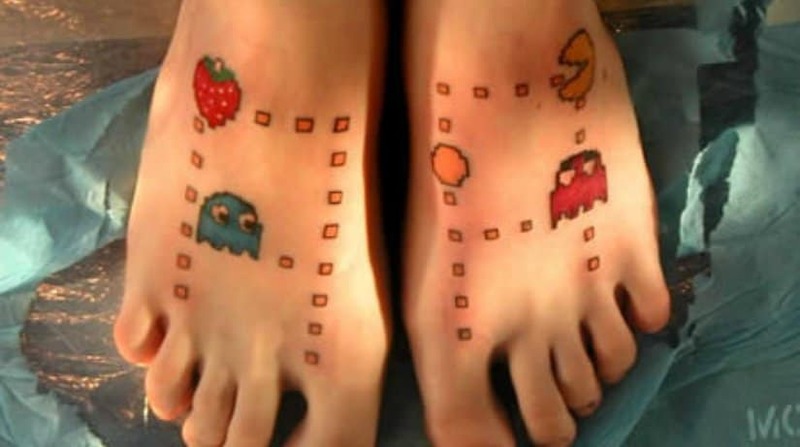 You certainly don’t do as much as this girl, who painted Pac-Man all over her feet. The perfect treat, these feet are simply candy-licious! What better way to show your appreciation towards Asian culture than painting your feet over with the face of a drunk festival dragon?